The pulsars, named J1859-01 and J1931-01, are 16,000 light years and 4,100 light years from Earth with rotation periods of 1.83 seconds and 0.59 seconds, respectively. 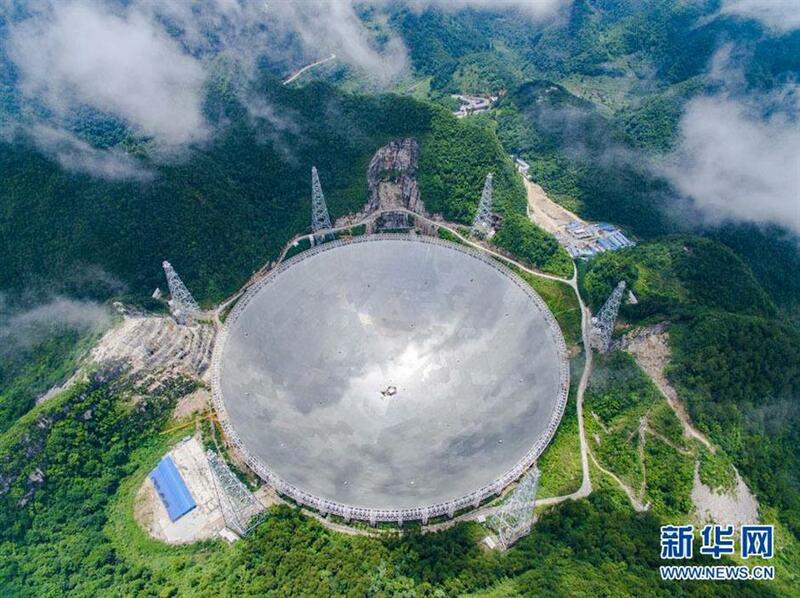 China's Five-hundred-meter Aperture Spherical Radio Telescope, or FAST. After one year of trial operation, the China-based FAST, the world's largest single-dish radio telescope, has identified two pulsars, the National Astronomical Observatories of China (NAOC) said Tuesday. According to Li Di, chief scientist at the NAOC, the two pulsars were discovered on Aug. 22 and 25 when FAST was drift-scanning the southern galactic plane. The discovery was later confirmed by the Australia-based 64-meter Parkes radio telescope in September. Peng Bo, deputy director of the FAST project, said three to five years are usually needed for trial operation for a radio telescope as large and complicated as FAST. "It is truly encouraging to have achieved such results within just one year," said Peng. Located in a naturally deep and round karst depression in southwest China's Guizhou Province, FAST, which stands for Five-hundred-meter Aperture Spherical Radio Telescope, was completed in September 2016. The receiving area of FAST is equivalent to about 30 football fields. FAST's key technical components include the feed cabin, 4,600 triangular panels and an active reflector. With it, astronomers are able to survey hydrogen in the Milky Way and other galaxies, detect thousands of new pulsars and seek out the origin and evolution of the universe.